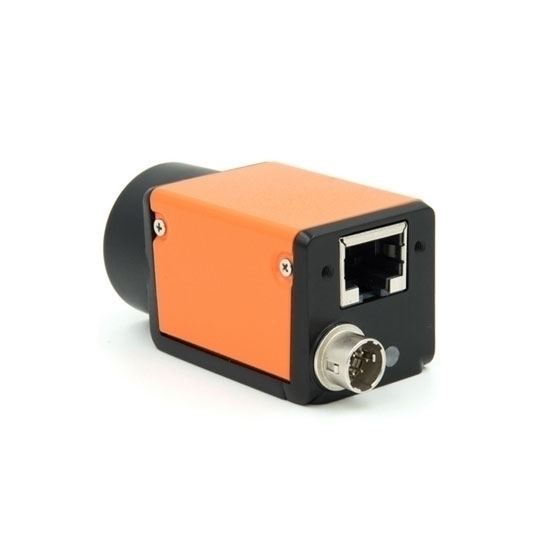 Industrial camera, 2592x2048 (5.3 Megapixel), is a best choice for machine vision applications, with format 1" CMOS, 20fps maximum frame rate, Gigabit Ethernet interface, C mount for lens, and available 8 or 10 bit depth, black and white or color selectable according to your requirements. High resolution, high speed and favorable price. 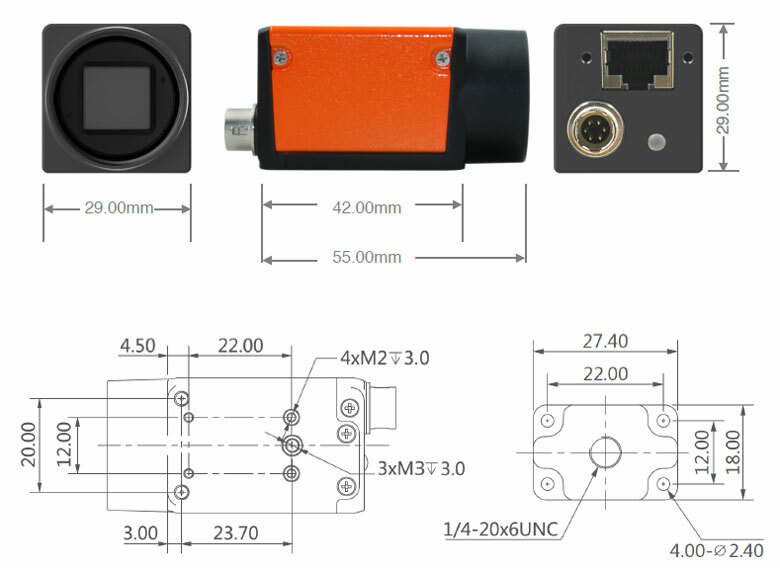 GigE vision industrial camera is a best choice for machine vision system with a resolution of 2592x2048 (5.3 Megapixel), suitable for various visual applications such as mobile phone screen detection, defect detection, electronic components manufacturing, wafer positioning applications and so on. 1. Industrial camera has stable and reliable performance, and it’s easy to install, has compact structure and uneasy to damage. It can also work in a poor environment for a long time. However, an ordinary camera can’t play as it. For example, it’s impossible for a civil digital camera to work 24 hours a day or to work for several days in a row. 2. The shutter time of an industrial camera is rather short, so it can get the object moving at a high speed. 3. The imaging sensor of an industrial camera belongs to a progressive scanning while that of an ordinary camera is the interlaced scan. The manufacture process of an imaging sensor with progressive scanning is rather complex and expensive. 4. The frame rate of industrial cameras is far higher than that of ordinary cameras. An industrial camera can shoot ten to hundreds of pictures per second, while an ordinary camera can only shot 2-3 pictures per second. 5. The industrial camera output raw data whose spectral range is rather wide. So it’s suitable for the high quality image processing algorithm, such as the Machine Vision. However, the spectral range of images taken by an ordinary camera is only suitable for human vision. The image quality is rather poor after mjpeg compress, so it’s not detrimental to analysis. 6. Industrial Camera is more expensive than the ordinary camera (DSC).